As a frequent side sleeper, memory foam pillows provide the loft and firmness you need. They retain their shape well to keep the neck and spine aligned straight to reduce neck and shoulder pain. Memory foam pillows are made with polyurethane foam, developed back in 1966 for NASA aircraft cushions. This type of material is known for its viscoelasticity. It is viscous for resisting motion transfer and elastic for retaining its shape. Memory foam both in mattresses and pillows is trending in popularity because of its comfort and longevity of not going flat. Your default sleep position – If you sleep on your back or stomach, can you sleep well with a thick pillow? Most memory foam pillow are designed to maintain the angle of your neck without letting your head sink into the pillow. 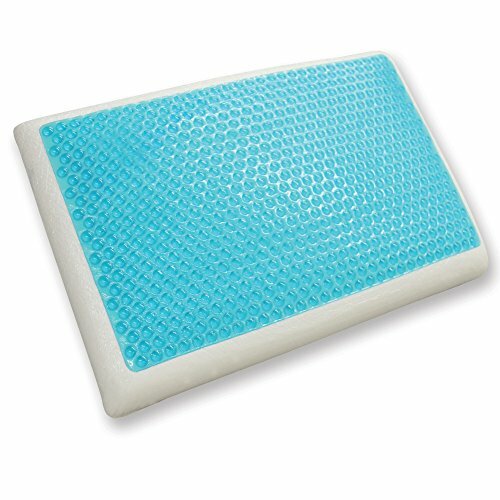 This makes memory foam a great choice for side sleepers to maintain a straight line for the neck and spine. 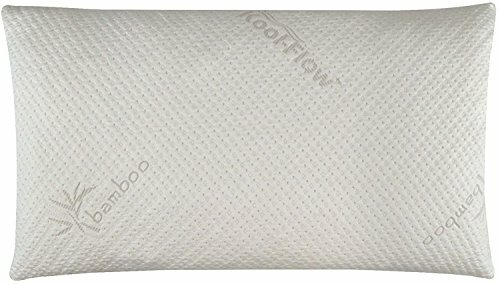 However, for back and stomach sleepers, this pillow might have too high of a loft to provide a comfortable sleep experience for your head and neck. Affordability and budget for your new pillow – Relative to other types of pillows, memory foam pillows are priced higher. Prices often range between $40 to $100. Do you want to cuddle your pillow (cushion)? – Memory foam pillows can be great for placing on your belly when you sleep because of its weight. However, since there is little give in a memory foam pillow, it can feel like you are snuggling something that refuses to love you back. Memory foam pillows are often placed between legs for comfort because they can keep the knees and ankles up. Noise from your pillow – Memory foam pillow can make rustling noises, especially if you use a shredded memory foam type pillow. If you have had experience using a noisy pillow, it can be disruptive to your sleep when you adjust during the night. The pillow itself is silent. 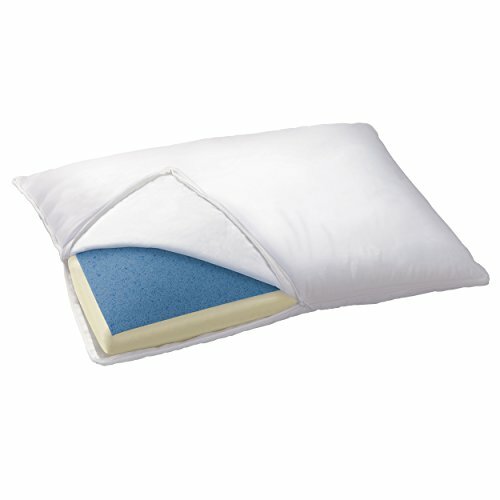 There are several types of memory foam pillows available on the market. When we discuss about type, we refer to the design of memory foam pillows. 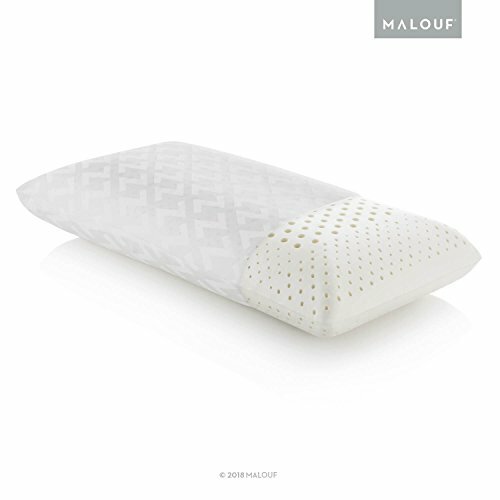 This can differ in appearance such as the triangular wedge pillow and the contour pillow or different in filling like the shredded memory foam pillows. Traditional – A traditional memory foam pillow are rectangular shaped pillows with low loft. They are widely popular because of their low cost and simple design. This type of pillow is well-rounded and suitable for all sleeping positions, including sleeping on your back and stomach. They are not the most optimal choice for side sleepers because they are generally softer and have a lower loft. This means the neck may not be well supported and aligned to your spine when you are sleeping on your side. 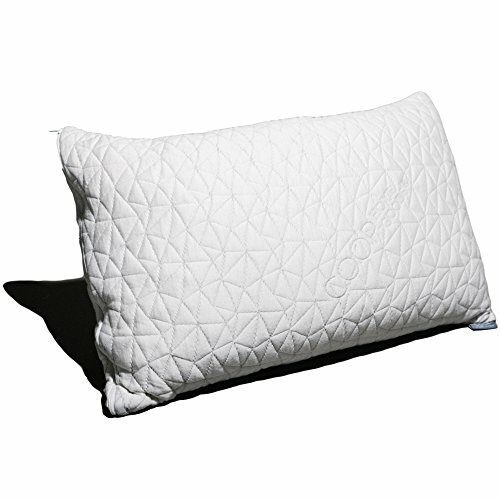 Shredded – A shredded memory foam pillow looks like a traditional. What makes it unique is the hundreds of shredded foam pieces inside the pillow. The shredded filling lets the pillow breathe better than traditional memory foam pillows. This prevents heat from getting trapped and allows the pillow to cool off easier. Most shredded pillow come with extra shreddings so you can adjust the amount of filling. By adjusting the filling, you can adjust the firmness, loft, shape and comfort to your liking. You can adjust your pillow for more cushion and sink for your head and neck. 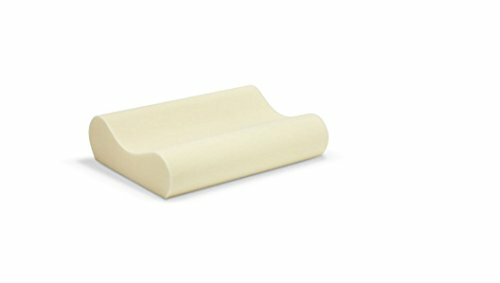 Contour – Contour memory foam pillow has two ridges with a groove in the center. The design of the contour pillow provides a resting area for the back of your head and, more importantly, support for your neck. This pillow helps keep your head steady during the night as many neck and shoulder strains are due to irregular or misplaced head positions. The ridges and grove works great for both side sleepers and back sleepers. It also does well as a pillow for neck pain relief. Wedge – A wedge pillow is a giant triangular cushion with a slanting, gradual slope. The size and angle of slope of this pillow provides a lot of different uses for propping up the body that other pillows cannot do. Common uses for wedge pillows include: elevating the lower body to reduce back pain, sitting upright and leaning against while on the bed or sofa, providing a sleep position that can reduce acid reflux or help with sinus issues, and as a pregnancy pillow to prop up the baby belly to reduce back strain. Odor and off-gassing – Memory foam tends to produce an initial odor (off-gassing). This happens because pillows can be delivered directly from the manufacturing factory (allows cost savings to be passed onto consumers). The packaging memory foam pillows come in are usually plastic and retains the odor without letting any dissipate. New memory foam pillows will take 3 to 7 days to air out the smell. If it persist, contact your manufacturer regarding the issue. Heat retention – The nature of memory foam material is that it does too good of a job retaining heat. There are a few remedies in place that manufacturers are offering to reduce the amount of heat trapped in memory foam pillows. Gel-infused memory foam is one option. Another is memory foam pillows with air holes to promote air flow. Lack of cushion – Memory foam pillows have a significant amount of loft because the material can retain its shape well. Unfortunately, that also means there might not be a comfortable amount of cushion for most sleeper making memory foam pillows known to be the better known firm type of pillow. Heavier than traditional microfiber and down filling pillows – In the heat of a pillow fight, the weight of a memory foam can be a double-edge sword. Memory foam pillows can have a great blow back effect to your enemies at the cost of a more difficult, heavy swing. To successfully utilize memory foam pillows in battles, ensure you have nimble allies with down pillows to protect you from the flanks. Memory foam pillows offer a long lifespan of loft and comfort. Although there are common complaints of odor and heat, memory foam pillows serve the need to maintain a comfortable loft for side sleepers. 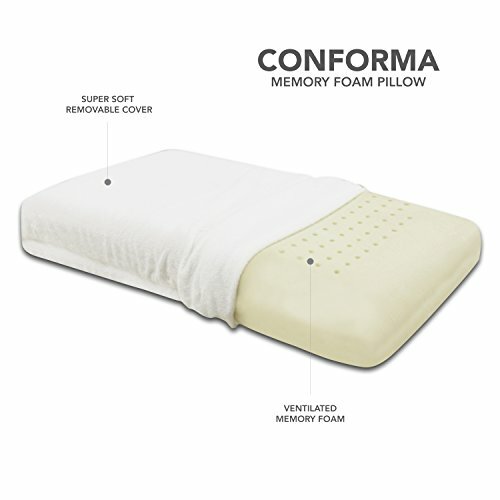 There are many types of memory foam pillows to choose from including the new shredded memory foam pillows to adjust how much loft and cushion you need and contour memory foam pillows that provide cushion to the neck and shoulders. In this guide, we go through the different types of memory foams, buying considerations, potential frustrations, and the top 10 memory foam pillows most popular and effective for you.